In Android Police's latest video, we take you on a comparative journey or, as it is known in the YouTube parlance, a versus. 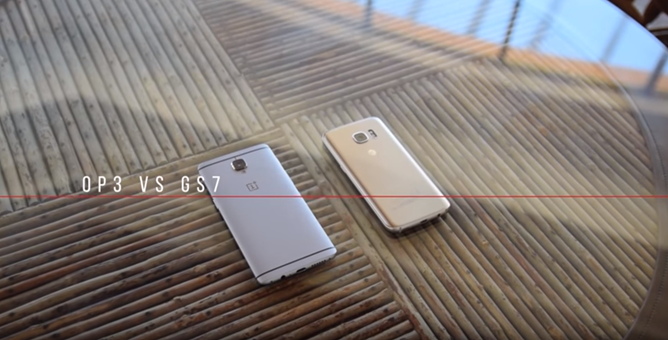 The Galaxy S7 may be a smaller, more expensive phone than the OnePlus 3, that much is true. But if you're in the unlocked device market, the S7's frequent discounting could mean you're actually cross-shopping these devices. Or maybe you're just not sure if you want to get back on a carrier contract or payment plan, and want to see if the no-strings-attached model of the OnePlus 3 could sway you to pay that MSRP up front. Facundo Holzmeister once again takes a look at some of the latest smartphones for us and compares and contrasts them - I'll let him take it from here.